Shortly after posting yesterday, I realized I hadn't gone back far enough in my retrospective, so today, I'm going to fill you in a bit about more about our trip to Mammoth Lakes last month. 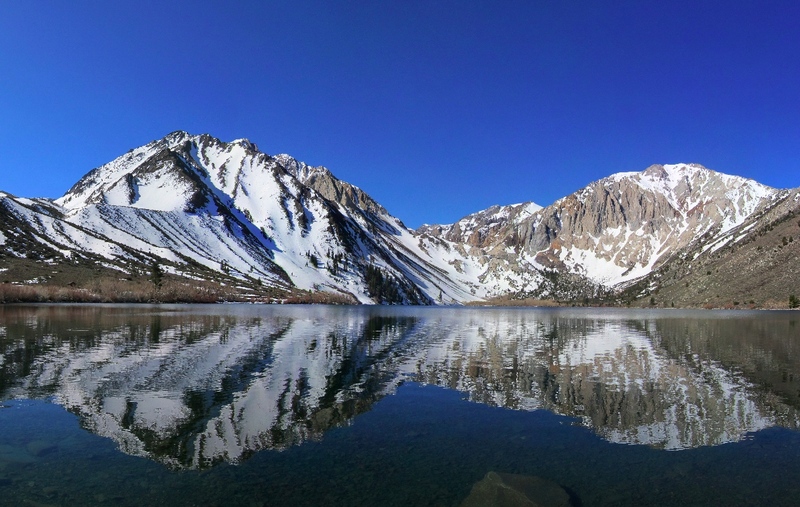 Today I'm going to feature Convict Lake. Our family loves the Eastern Sierras. Every time we have been over to that part of the state, our family has had a great time exploring the sites along the way. My wife was reading brochures about things around Mammoth and she stumbled upon an entry mentioning the beauty of Convict Lake, so this was a little detour we took for her. Right she was, it was a very pretty spot, particularly for a small fishing lake. Of course I was curious about the name, but a helpful plaque filled me in. In 1871, three convicts had escaped a prison in Carson City, Nevada. A posse pursued them all the way to this lake where one of the lawmen, Robert Morrison was gunned down. The three continued a little further before being captured. Two of the three were hung for the murder of Morrison, the third was spared because he was only 19. 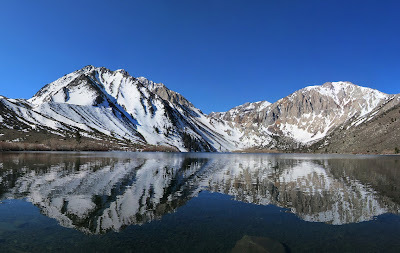 The lake was later named Convict Lake in commemoration of the encounter. I thought it was fitting that the convicts' names appeared nowhere, but that the lawman was commemorated. The mountain on the left (elevation 12,241 feet) is named Mount Morrison. Mrs Nate has good taste and the picture is so crisp & clean. It's hard to get those around here with the air pollution - & I live in one of the least populated counties in the least populated state. Stunning photo. Look at the sky!